Once the winter snow has melted and the gorgeous foliage of the Cascade Mountains begins to bloom, the Bavarian-style town of Leavenworth, WA comes alive with spring activity! 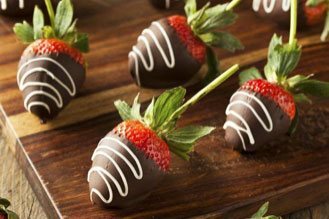 If you’re in search of a special destination to take your sweetheart this spring, then you definitely won’t want to miss visiting Leavenworth, WA in April. Just to get you started with your vacation planning, here are some of the most fun spring activities and events to add to your itinerary. While you’re here, you’ll also want to claim your free copy of our Leavenworth Vacation Guide! This complimentary planning tool is filled with only the best recommendations for local activities, entertainment, shopping, dining, and more. It’s the only thing you’ll need to plan the ultimate getaway to our one-of-a-kind destination. Get Your Free Guide to Leavenworth Right Now! One thing you’ll definitely notice about visiting Leavenworth, WA in the spring is the wide variety of exciting events. One festival you won’t want to leave off your list is the Leavenworth Ale Fest, our town’s original celebration of craft beer! This is the perfect opportunity to enjoy local and international brews with music, fun, and an inspiring Alpine backdrop. Proceeds collected at this event will benefit the local Icicle Creek Center for the Arts. The Leavenworth Mountain Film Festival is an absolute must for lovers of the cinema and showcases some of the best recent films with an emphasis on outdoor pursuits. You’ll be invited to dress up in your very best, walk down the red carpet, and enjoy fantastic films while indulging in the beverage of your choice. Did you know that Leavenworth is the leading exporter of organic pears in the nation? 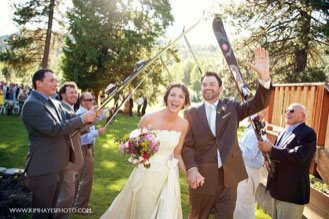 To celebrate this achievement, our charming town in the Cascade Mountains hosts a month-long party known as Spring Sensations. During the month of April, several local restaurants, shops, and wineries will be be offering delicious food and drinks that highlight Leavenworth’s beloved crop. Be sure to follow the Spring Sensations Pear Map to find all the culinary events and specials that you won’t want to miss out on. The art of fine winemaking has made itself a staple in the Northwestern region. That’s why a trip to our area’s popular wineries during a trip to Leavenworth, WA in April is yet another must! There are dozens of fantastic wineries and vineyards to choose from, but here are just a few of our personal favorites that we’re sure you’ll love just as much as we do. Eagle Creek Winery: This is Leavenworth’s oldest winery and specializes in high-quality premium wines. You can visit either the winery itself, which is nestled within the beauty of the Cascade Mountains, or sample their delicious selections in their tasting room located in Downtown Leavenworth. Icicle Ridge Winery: Providing crave-worthy wines in a log cabin setting, Icicle Ridge Winery is a local favorite and a fantastic spot to taste unique wine flavors such as chocolate cherry passion and raspberry riesling. Wedge Mountain Winery: Located just five miles east of Downtown Leavenworth, Wedge Mountain Winery is a family-owned and operated vineyard whose passion for good wine shines through in every glass. They’re also known for interesting tasting spaces which include within an underground cave, a straw bale building, and a lovely orchard garden. Leavenworth has the privilege of an ideal location in the Cascade Mountains. The wide variety of things to do in the great outdoors just outside the Bavarian village make our destination a true explorers’ paradise. With extensive hiking trails, beautiful parks, and some of the best rock climbing opportunities in the nation, you could spend days experiencing everything that our strikingly beautiful region has to offer. Don’t forget to check out even more spring and summer activities in Leavenworth! A memorable Leavenworth experience should belong to everybody, and that’s why we’re more than happy to offer a discount for those in need of a rejuvenating escape from their hectic everyday schedules. Use our Winter Getaway Special to book your stay with us at Pine River Ranch Bed and Breakfast in February, March, or April and you’ll receive 25% off your visit! Just use code “WINTERGETAWAY” during your booking and you’ll instantly save on your next Leavenworth vacation. Now that you know what to do in Leavenworth in April, it’s time to book your vacation! However, a getaway to Leavenworth, WA calls for a very special place to stay. 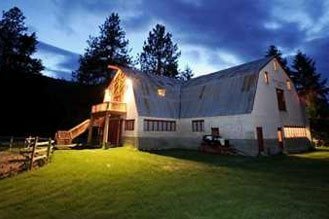 Pine River Ranch is a rustic-style and historic bed and breakfast and wedding venue located just minutes from Downtown Leavenworth. 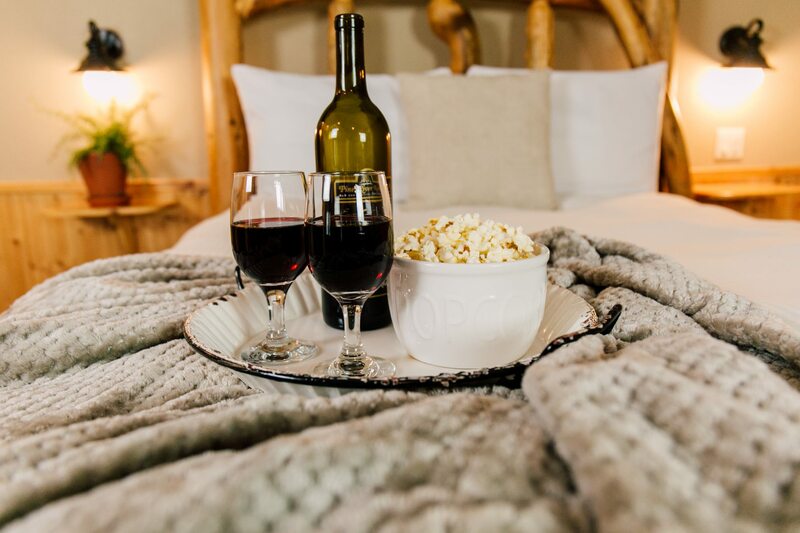 Our guests enjoy a peaceful and romantic setting amidst a Cascade Mountain backdrop, inviting guest suites stocked with thoughtful amenities, and a delicious gourmet breakfast delivered straight to their door each morning. 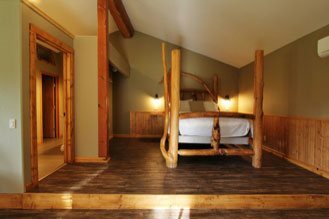 For a romantic springtime escape to Leavenworth, may we recommend our Ponderosa Suite? This wonderful accommodation celebrates simplicity and tranquility and spoils its guests with delightful features such as a beautiful pine log bed, a propane fireplace for those chilly nights, an extra large private bathroom with a walk-in shower and multiple shower heads, and great views from the deck. Check our availability today and book your next escape to Leavenworth today! We look forward to seeing you soon.